The 17th Army (German: 17. Armee / Armeeoberkommando 17 / A.O.K. 17) was an army level command of the German Army in World War I. It was formed in France on 1 February 1918 from the former 14th Army command. It served exclusively on the Western Front and was dissolved on 19 January 1919. 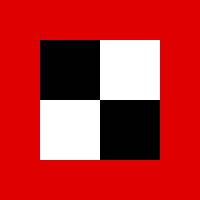 17th Army was one of three armies (along with 18th Army and 19th Army) formed in late 1917 / early 1918 with forces withdrawn from the Eastern Front. They were in place to take part in Ludendorff's Spring Offensive. The Germans had realised that their only remaining chance of victory was to defeat the Allies before the overwhelming human and matériel resources of the United States could be deployed. They also had the temporary advantage in numbers afforded by nearly 50 divisions freed by the Russian withdrawing from the war (Treaty of Brest-Litovsk). The Headquarters was located at St Amand until 6 April 1918, Douai until 1 May 1918, Denain until 18 October 1918 and Mons until start of the march back, reaching Zülpich for disbandment on 19 January 1919.